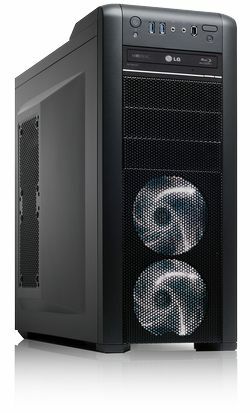 Compare and choose your Stratosphere workstation. Ray Ozzie, Microsoft Chief Software Architect, featured in a Wired cover story profile. Behind him is one of his three Digital Tigers Stratosphere Studio workstations, with our Zenview PowerTrio Ultra Elite display. Dozens of unique configurations from the industry leader for multiple monitors. Choose popular Zenview multi-screen monitors or premium UltraFlex displays. Bill Gates, Co-founder and Chairman of Microsoft, featured in a Fortune profile at his Bill & Melinda Gates Foundation office, with his second Zenview PowerTrio Ultra Elite display. Bill Gates has been a Digital Tigers customer since 2006. Thousands of laptop configurations from the best brands. Power-user options: ultra-fast SSDs, more memory, docking station bundles. World's most powerful laptop search engine: search by more than 40 attributes. Find your perfect laptop today! Top performance, quad-core CPU options, best multi-monitor support for power users. ThinkPad, EliteBook, ProBook and Latitude. Ultra-fast SSDs, advanced docks, security. No-compromise ThinkPad and EliteBook ultraportables: small footprint, top business features. Sleek & stylish, great mobility & performance, from ASUS, Samsung, HP and Lenovo. ThinkPad, EliteBook and Toughbook business-class convertible tablet PCs. Super-rugged Panasonic Toughbooks with unique SSD performance upgrades. Desktop management software for multiple monitors. Industry-leading features for power users. Only $99 USD! Buy online today. "TradeStation is delighted to work with with Digital Tigers and offer this great rebate program to Digital Tigers customers," said Mike Anton, Director of Strategic Relationships, TradeStation. "With our new rebate program, active traders can rebate the full cost of Digital Tigers computers and multi-screen displays through monthly discounts on their TradeStation commissions, up to $8,000 total rebate," Anton continued. "All that is required is the opening of a new TradeStation account." Now celebrating its 10th anniversary, Digital Tigers is the industry leader for multi-monitor performance workstations. 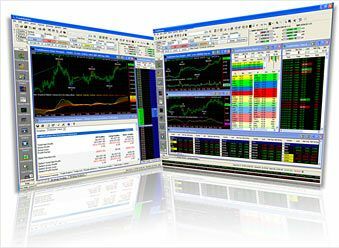 Digital Tigers Stratosphere trading computers can support up to 30 independent monitors and deliver the performance that power-user traders demand. High-end systems offer up to 512GB memory, powered by dual Intel Xeon processors with a total of 16 CPU cores and 32 execution threads. All systems are equipped with an ultra-fast Intel solid state drive (SSD) system drive. Digital Tigers multi-screen monitor arrays support up to 30-inch screens and use IPS wide-viewing-angle LCD technology. Complete software management is provided by Digital Tigers UltraView Desktop Manager, which extends Microsoft Windows for multiple monitors with 13 powerful features. An Intel Platinum Partner with nationwide distribution through Microsoft Store, Digital Tigers also delivers industry leading service and support, including next-business day replacement parts and remote diagnostics of customer systems. Performance systems include a standard bootable backup drive, which is a mirror of the system drive for high reliability. For mainstream systems, remote support now includes the ability to recover and repair even unbootable computers.